Luxury brand shops and popular restaurants line the streets of Tokyo’s famous Ginza district. With an image as a fashionable celebrity hot-spot, the area’s calm vibe attracts a sophisticated crowd that includes many overseas tourists. This is where you’ll find “Ginza Okabe”, a cozy spot to enjoy carefully-selected sake and sushi. Just a 4-minute walk from Ginza subway station, Ginza Okabe offers an 8-seat counter, plus a 6-seat raised tatami-floored area that can be screened off with sliding fusuma doors—perfect for entertaining special clients or hosting other intimate gatherings. Ginza Okabe has no set menu, instead offering seasonal ingredients in their finest form. 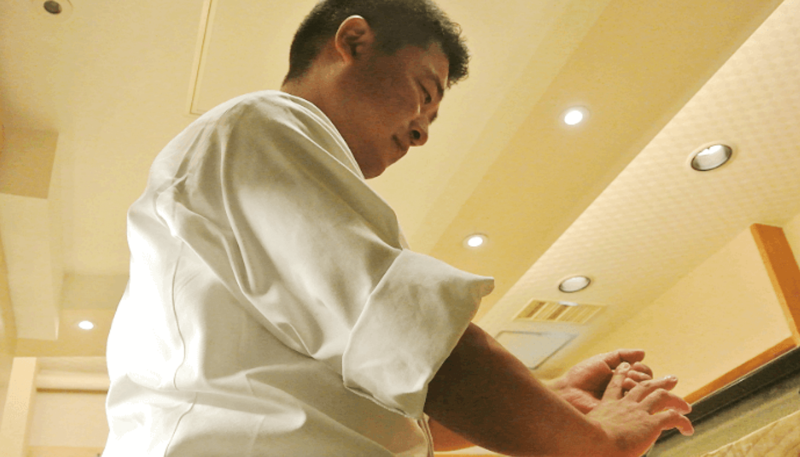 But what sets it apart from other omakase sushi offerings around town is owner Mr. Hiroyuki Okabe’s pairings — he recommends a particular sake to go with each individual dish he serves. 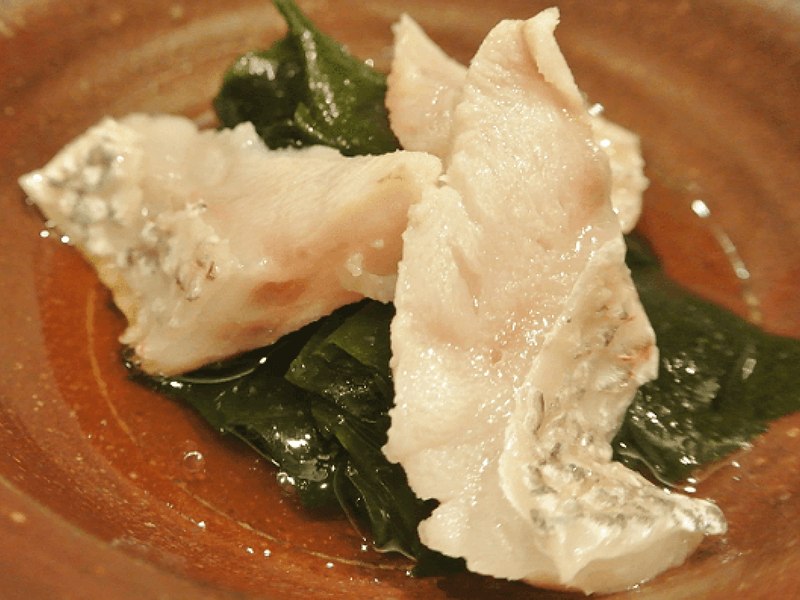 Nodokuro (rosy seabass) from Nagasaki Prefecture, is juicy and rich in oils. It melts in your mouth with a delicious umami, while the Tokushima wakame, soaked in ponzu sauce diluted with dashi, was both refreshing and alluring in texture. 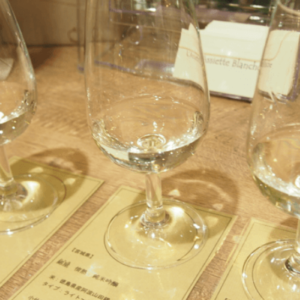 The Hiroki Junmai Daiginjo sake selected by Mr. Okabe is the perfect accompaniment. The flavors of the rice and the nodokuro mingle into an exquisite blend, while the tail of the sake preserves the richness as it whisks away the oiliness of the fish. 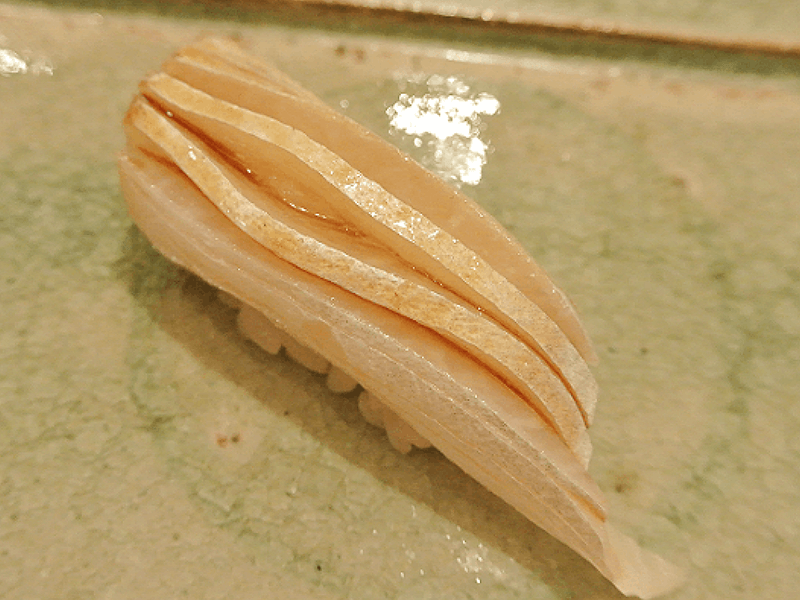 Famous among regulars is “Okabe-no-anago,” Ginza Okabe’s version of eel sushi is a simple dish of conger eel, from the town of Tsushima in Nagasaki Prefecture, boiled and sprinkled with mild Izu Oshima sea salt. The soft, fluffy flesh releases its aroma as it falls apart in your mouth. The fatty, delicate eel meat seems to melt on your tongue, and following it with a taste of Sawanohana Junmai Ginjo Yusuzumi, a zesty and refreshing summer sake, is an almost transcendent experience. This outstanding kanpachi (amber jack) has been aged for 10 days, giving the oils an elegant sweetness with a superb bite. The pairings at Ginza Okabe are far from routine. 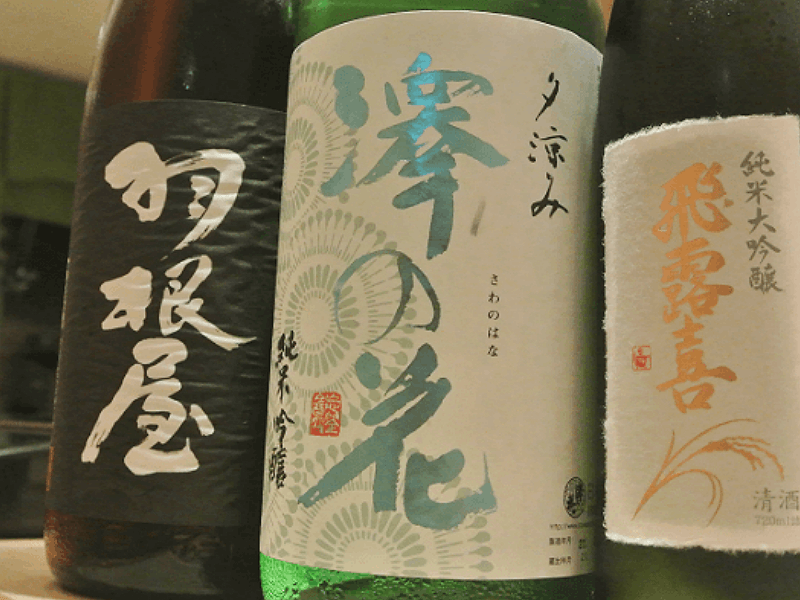 Rather, the focus is on selecting a sake that will highlight the ingredients of each dish. Mr. Okabe shared the philosophy behind this attention to detail. Ginza Okabe’s meticulousness is applied to every single ingredient, including the rice and seasonings, and naturally extends to the dishes upon which each creation is served – including the sake vessels – a dedication that permeates the entire experience. This salt is separated according to which dish it will be used in. 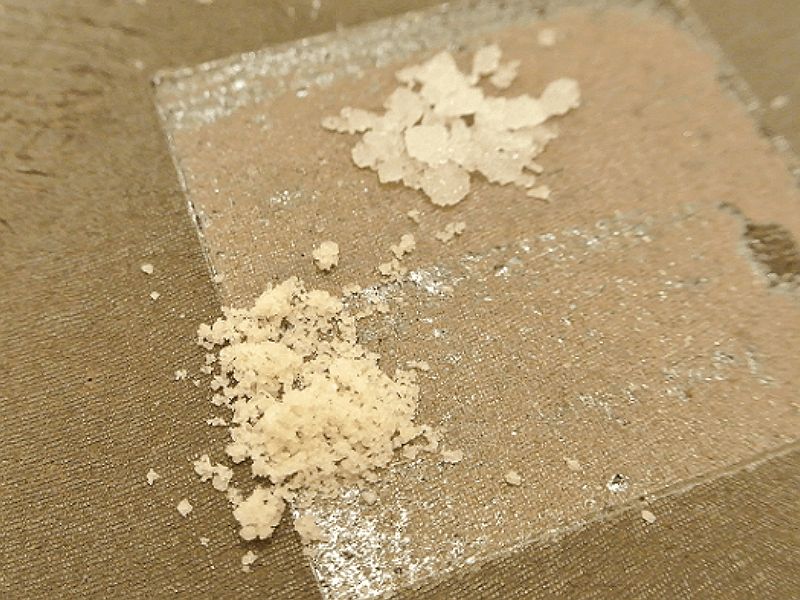 The fine, golden salt in the foreground is from Hiroshima Prefecture. Its distinctive taste means it is often used in grilled dishes and similar offerings where a stronger flavor is sought. 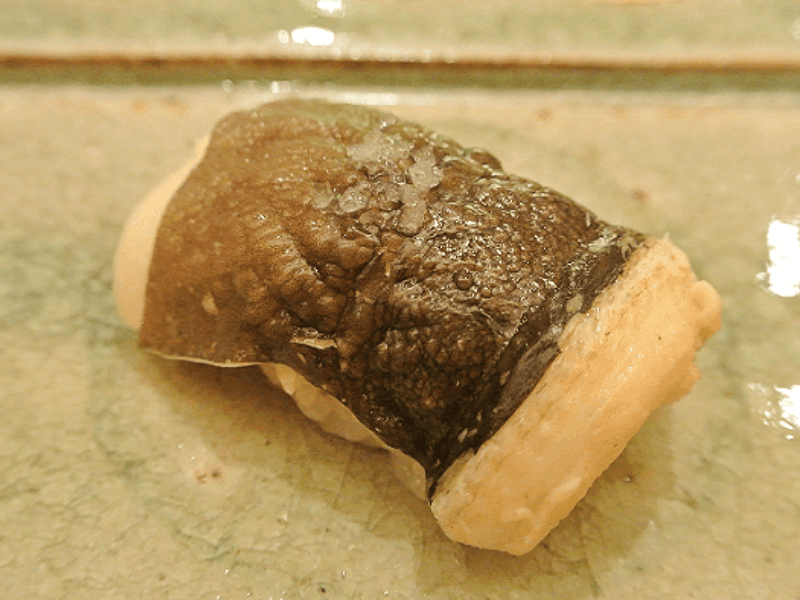 The crystalline salt in the background, from Izu Oshima Island, is used with sushi and also in dishes such as the aforementioned “Okabe-no-anago”, where its mild taste helps to bring out the umami of the eel. 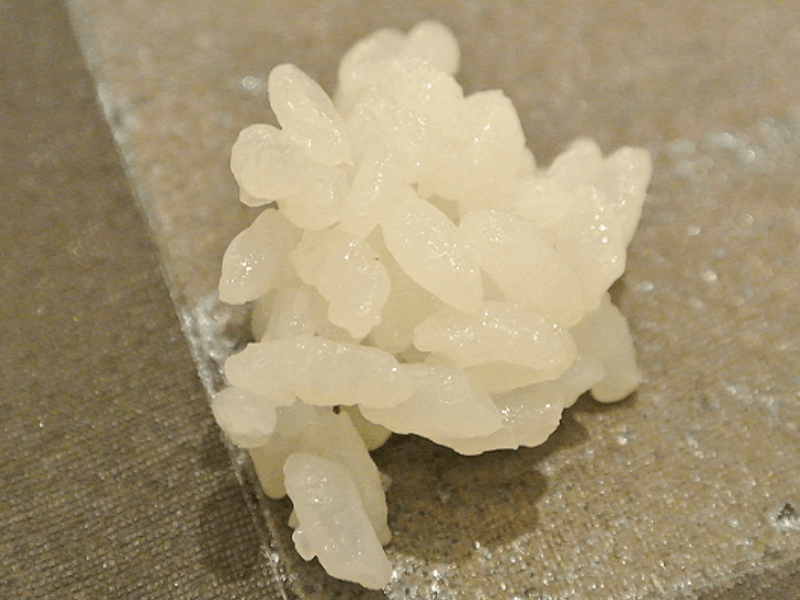 The rice used at Ginza Okabe is hanakirari from Miyagi Prefecture. Each grain is firm, and after cooking the rice feels uneven, with little fragrance. The unevenness produces a crispy sensation when served with with soft, thick ingredients, while the absence of fragrance means the rice doesn’t intrude on the aromas of the surrounding ingredients. It’s this understanding of the finer qualities of each ingredient results in the superb harmonies unique to Ginza Okabe. 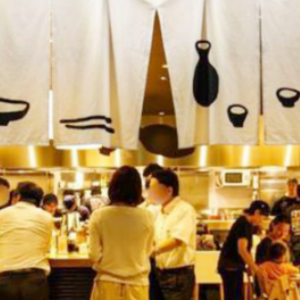 The Ginza Okabe experience offers many individual elements that leave a lasting impression—the space itself, the sake, the ingredients and composition of the dishes served, the sake cups and even tableware. 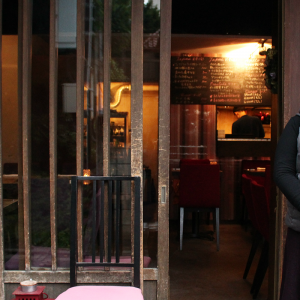 “I had the self-confidence to keep being picky about these things,” says Mr. Okabe, emphasizing that he wants his establishment to be a place where food stimulates enjoyable conversations. 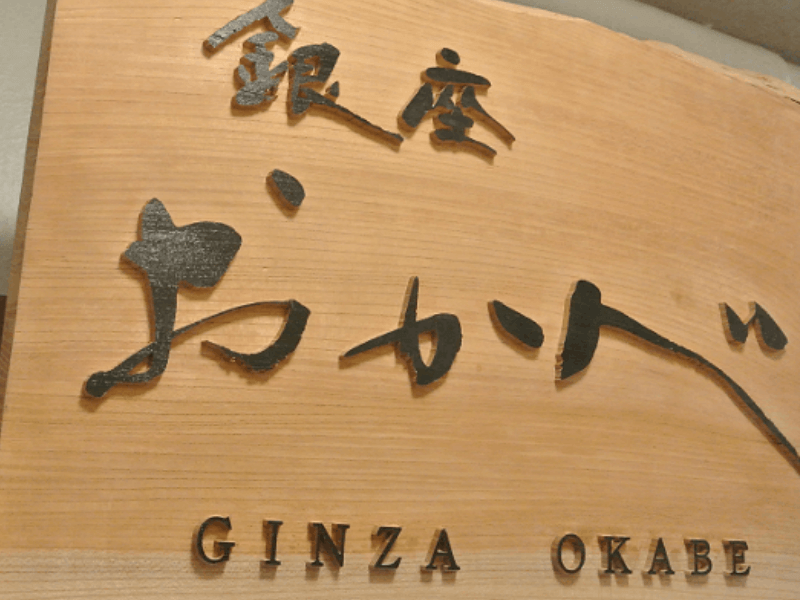 From the ingredients to the presentation, Ginza Okabe is indeed particular about the space and comfort it offers its clientele, making it an easy recommendation as an approachable high-end experience for top-quality food and sake.